Part Number WP9703438 replaces: 410233, 4176072, 65100-1, 9703438. The retaining clip goes onto the end of the roller axle and holds the drum roller on to the axle. If the ring is broken or damaged, you will need to replace it. 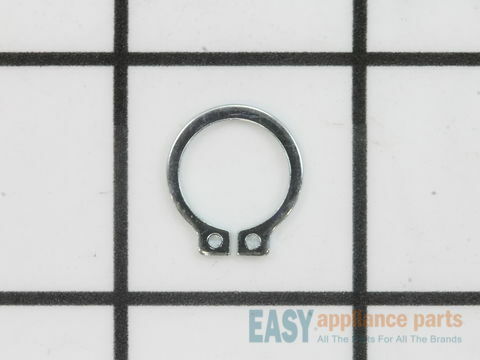 This is a genuine OEM part and is sold individually. Works with the following brands: Maytag, KitchenAid, Norge, Admiral, Whirlpool, Magic Chef, Jenn-Air, Amana, Crosley, International. Works with the following products: Dryer, Mixer, Refrigerator, Washer Dryer Combo, Freezer.